الموافقة على انضمام سلطنة عمان إلى عضوية الجمعية المشار إليها. على جهات الاختصاص إيداع وثيقة الانضمام إلى عضوية الجمعية وفقا لأحكامها. 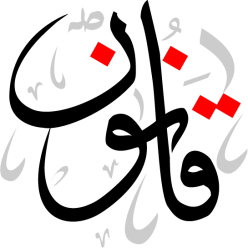 نشر هذا المرسوم في عدد الجريدة الرسمية رقم (٩١٦) الصادر في ١ / ٨ / ٢٠١٠م. 1.1. The Society is registered as a not for profit ‘International Association’ following the Belgian law of 27 June 1921 on the not for profit associations, on not for profit foundations and international associations. The name of the Society in English is the “International Society for Horticultural Science”, hereafter referred to as “the Society” or “ISHS”, or in French “Société Internationale de la Science Horticole”. The official languages of the Society are English and French. In case of dispute, the French version of the Statutes is considered definitive. 1.2. The Society is established for an indefinite period of time. 1.3. The registered office of the Society is in 1083 Brussels, Rue du Serpolet 18, Belgium. The registered seat can be changed to wherever in the Brussels-Capital (Belgium) Region by simple decision of the Council, to be published within a period of one month, in the annexes of the Moniteur Belge. 2.1. The objective of the Society is: to further all sectors of horticulture by improving international cooperation in the scientific study, education and exchange of knowledge of biological, technical, ecological, environmental, sociological and economic issues as they affect horticulture. 3.1. hold International Congresses at regular intervals. 3.2. arrange international workshops and symposia as well as other international meetings. 3.3. establish Sections according to commodities within horticulture and Commissions according to subjects of horticultural science and technology, that range across several commodity sectors. 3.4. form relationships, and cooperate, with other governmental and non-governmental organisations in its field of interest. 3.5. edit, produce and distribute information, reports and scientific or technical publications, reserving the exclusive rights and copyrights to the Society according to Belgian law. 3.6. use other legal means to achieve the objectives of the Society. 4.1. Membership of the Society is open to individuals, organisations, countries/states/regions, subscribing to the objectives of the Society. Organizations must be legally registered in accordance with the laws and customs of their country/state of origin. 4.2.2. Countries/states/regions members represented by ministries, national societies, national associations or institutes. 4.2.3. Institutional members: any other organisation with an interest in horticultural science and technology. 4.2.4. Honorary members: Honorary members are individuals who in the judgment of the Council, have made an exceptional contribution to the Society. They are appointed for life by the General Assembly. 4.3. Membership is available upon application to the Board and payment of the annual dues. Honorary Members are exempt from payment of annual dues. 4.4. The Secretariat maintains a register of all members listed by country/state/region. 4.5. The Board has the right to reject an application for membership and to terminate membership. 4.6.3. termination of Society membership by a decision of the Board for non-compliance with the Statutes or Rules of Procedures. 4.7. The creditors or heirs of a member have, without exception, no claim on the goods or assets of the Society; nor can they have any vote in the affairs of the Society. 4.8. If a member resigns from the Society, he/she cannot claim any of the goods or assets of the Society, nor claim repayment of any dues previously paid. 5. Members have the right to participate at the General Assembly. They will receive the newsletter of the Society and have the right to question the members of the Board. The members have an obligation to pay the membership dues and comply with the Statutes and Rules of the Society. The dues to be paid cannot be higher than the amount agreed by Council at its last meeting. The Secretariat will communicate the amount of the membership dues to be paid at the request of a member or applicant for membership. 7.1. The General Assembly has all the powers not assigned to the Council and the Board in accordance with the Society’s Statutes and the law. 7.3. At every meeting of the General Assembly, the Board is required to render a report, including a financial statement, and to present its forward plans covering the period until the next meeting of the General Assembly. The General Assembly ratifies the annual reports provisionally approved by the Council conform Article 8.5.1. 7.4. The quorum for the meeting of the General Assembly is not less than 75 members of the Society. Voting is by simple majority except in the case of dissolution of the Society. 7.5. The General Assembly meets once every four years on the occasion of the Congress mentioned under article 13. The General Assembly is invited at least by means of an announcement published in the Society’s official publication “Chronica Horticulturae”. This invitation is signed on behalf of the Board by the Secretary of the Board, or by the President of the Council. The date and place of the General Assembly are announced in the announcement. An agenda will be issued to the membership no less than four months before the date of the meeting. 7.6. The General Assembly considers and confers Honorary Membership as recommended by the Council. 8.1. The Council consists of representatives of the country/state members, of representatives of the individual members citizens of non-member countries/states, and representatives of individual members of officially recognized geographical regions. Each country/state/region member can appoint up to a maximum of three representatives. At any time, each country/state/region member has only one single vote in the Council. Individual members, who are citizens of non-member countries/states or of other geographical regions, elect per country/state/region and from their ranks by simple majority a representative. This representative has one vote on the Council. The Council consists at least of twenty five voting members. Council members are in office for a term of two years, which is renewable. 8.2. Council Members of the Society are appointed according to the procedures of the country/state/region concerned. 8.3. The Council has the powers assigned to it by the General Assembly. 8.4. The President of the Society is elected by the Council and chairs its meetings. In the President’s absence, the Vice-President of the Board takes the chair. If both the President and the Vice- President of the Board are absent, Council elects a chairperson for that meeting. 8.6. The Council can be invited by the Board upon a request from 10 voting country members. The Council is invited by regular mail addressed to each of its members at least two months prior to the meeting. This invitation is signed on behalf of the Board by the Secretary of the Board. An agenda will be included with the invitation. – and if at least one representative of each of the geographical regions (i) Europe, (ii) North and South America, (iii) Oceania- Asia-Africa is present or represented. 8.7. Decision making may be by a show of hands. When voting is required votes are cast orally unless a voting representative or the Board demands a ballot. Votes relating to persons are taken by ballot. The Chairperson only votes in the case of a tie. 8.8. At each meeting, minutes are taken, adopted by the Council at its next meeting, and then signed by the President, the Secretary of the Board and two other Council members, as a true and accurate record. 9.1. The Board consists of not less than five, nor more than nine, members who are elected by the Council and confirmed by the General Assembly. In addition, the Executive Director and the Congress President are ex officio, non-voting members. 9.1.1. The Council is empowered by the General Assembly to appoint, discharge or suspend from duties any Board member in the period between General Assemblies. 9.2. The Board has the power assigned to it by the General Assembly and Council. The Board is empowered with the management of the Society to enter into agreements with a view to the acquisition, encumbrance, and disposal of the assets of the Society. 9.2.1. The Board is represented legally by the President. If the president can not act, two other members of the Board act together. 9.2.2. The Board delegates day-to-day management of the Society as well as representation for this management to one or more of its members, directors or other agents, acting alone or together. 9.2.3. In case of delegation, the Board lays down the terms of the assignment and if appropriate, any special financial arrangements required by the assignment. 9.3. The Board is responsible for the financial governance of the Society. Financial decisions must be agreed by a three quarters majority of elected Board members. 9.4. The Board prepares the agendas for the meetings of the General Assembly, the Council and the Executive Committee. 9.5. The Board will empower and control the Executive Director. 9.6. Board members retire at the end of each General Assembly, provided that a new Board has been appointed. They may be re-appointed for a further term if eligible. 9.7. In the event of a vacancy on the Board between General Assemblies, the Council is empowered to fill the vacancy. 9.8. An employee of the Society is not eligible to be a voting member of the Board while still in office. 9.9. The President of the Society is Chairperson of the Board. The Board elects a Vice-President, a Secretary and a Treasurer from within its own ranks. In the event of absence of the President, the Vice-President acts temporarily for the President. If both President and Vice-President are absent, the Board elects another person from within its own ranks to act temporarily for the President for the meeting. 9.9.1. A Board member cannot hold more than one permanent position on the Board. 9.10. A quorum is a majority of the elected Board members. Any member of the Board absent from a Board or Council meeting, can provide a proxy in writing, by telefax, telegram, telex or e-mail to one of his/her colleagues to represent him/her at the meetings of the Council or the Board and to vote on his/her behalf. The Board member will, in this case, be reported present. The number of proxy votes held by any one member of the Board is not limited. 9.11. At each meeting, minutes are taken, adopted by the Board at its next meeting, and signed by the President, two members of the Board and the Secretary as a true and accurate record. 9.12. The managerial functions of the Board are specified in the Rules of Procedure for the Society. 10.1. The Executive Committee consists of the Chairpersons of the Sections and Commissions plus the members of the Board, and is chaired by the Vice-President. 10.2. The Executive Committee is responsible for the scientific and technical work of the Society. It reports through the Board to the Council. 11.1. Sections and Commissions of the Society consist of members who undertake the scientific and technical work of the Society and may form Working Groups. 11.2. The Chairpersons must be confirmed in office by Council after an election by the members of Sections and Commissions. They report to the Executive Committee, which again, through the Board, reports to the Council. 11.2.1. The Council is empowered by the General Assembly to appoint, discharge or suspend from duties any Section or Commission Chairperson in the period between General Assemblies. 12.1. The Secretariat is headed by the Executive Director, who is appointed by the Board with the approval of the Council. 12.2. The Executive Director is responsible for the management of the Society in accordance with the policies and directives agreed to by the Board, acting on behalf of the Council. 13.1. The Congress is normally held every four years. The date and place are recommended by the Council and approved by the General Assembly. 13.2. The Congress promotes the advancement of horticultural science, on behalf of the Society, by means of workshops, Section and Commission meetings, and plenary sessions. 13.3. During the Congress there is a General Assembly, which is open to all members of the Society. 13.4. The Congress President is nominated by the Organizing Committee of the Congress and appointed by the Council. 14.1. The financial year of the Society is the calendar year. 14.3. The members are required to pay annual dues, the level of which will be fixed by the Council. 14.4. The Council is empowered to grant exemption from, either in whole or in part, the obligation to pay annual dues or subscriptions. 14.5. Records of the financial position of the Society are kept by the Board and reported to the Council. 14.6. The financial records of the Society are subject to an annual independent audit. An external auditor is appointed by the Board on the recommendation of the Council. The summary of the audit report is made available annually to the membership. 14.7. An internal Audit Committee, of at least two persons, is appointed by the Council, from within its own ranks. The Audit Committee reports to the Council. Members of the Audit Committee must not be Board members. 15.1. An amendment to the Statutes can only be made by means of a members resolution, considered first by the Council and then submitted, with comment, to the General Assembly. 15.2. At that Council meeting there must be 50% of the voting member countries present, or by proxy, in accordance with the geographical divisions specified in the Rules of Procedure. There must be a two thirds majority of the votes of this Council in making the recommendations. 16.1. The Society will only be dissolved by Council following the adoption of a resolution accepted by a two thirds majority vote of members at a General Assembly. 16.2. The net proceeds, after settlements, will be given to one or several organisation(s), as designated by the Council, that promote horticultural interests. 16.3. In the event of dissolution, the General Assembly appoints the liquidators and determines their powers. The liquidators will have the same powers as the members of the Board. If no liquidators are appointed, the members of the Board act as liquidators. 17.1. The Board, authorized by the Council, is empowered to draw up Rules of Procedure, and make any subsequent amendments for consideration by the Executive Committee and for approval by the Council. 17.2. These Rules must not be contrary to Belgian law nor to the Statutes of the Society. 18.1. In the case of a dispute, which is not covered by the Statutes, the decision rests with the Council, acting on behalf of the membership. 19.1. Each word used in these Statutes such as “President”, “Vice- President”, “representative”, refers to the person in office regardless of gender. 20.1. Everything which is not covered by these statutes will be ruled by the content of Title III of the Belgian law of 27 June 1921 on the not for profit associations, on not for profit foundations and international associations.